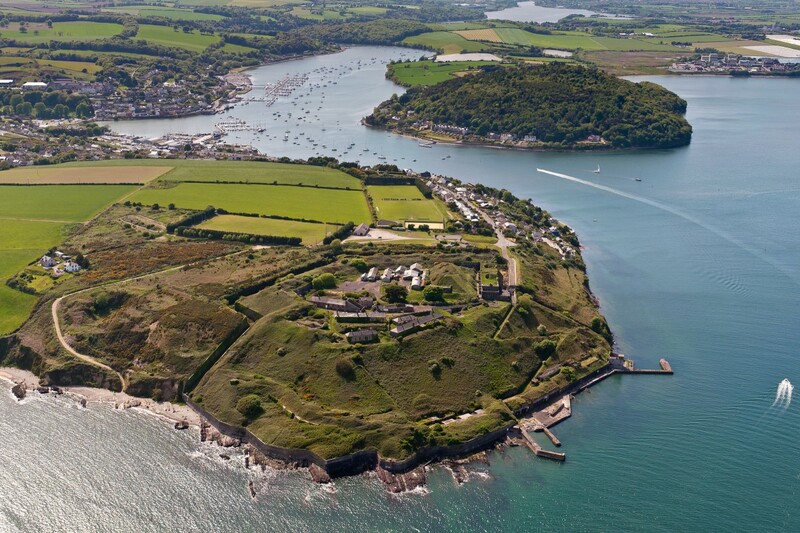 Camden Fort Meagher, situated on the outskirts of Crosshaven, Cork Harbour, Ireland, is well worth a visit with its breathtaking views of Cork Harbour and Cobh, the last port of call for the ill-fated Titanic. The village of Crosshaven is surrounded with sandy beaches and secluded coves, for an afternoon swim or an evening stroll, which are a short walk or drive away. 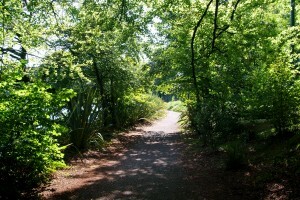 Outdoor activities in the vicinity include woodland walks, horse riding, cycling, golf, fishing, sailing and tennis. We are also just a short riverside walk from the Royal Cork Yacht Club, the World’s oldest yacht club. Camden Fort Meagher is a must see attraction when touring the Cork/Kerry area – Ireland’s premier tourist region. The diverse landscape, ranging from the beautiful unspoilt ruggedness of the West Cork coastline to the lakes and mountains of Killarney, never fail to delight even the most discerning visitor. Other places of interest nearby include Kinsale, Blarney Castle, Fota Wildlife Park, Cobh Heritage Centre and Jameson Whiskey Heritage Centre. Suggested touring itineraries are available on request. We are located at the gateway to West Cork, just 15 minutes drive from Cork Airport and Ferry Port. Transfers can be provided in our minibus. Crosshaven is a village in South County Cork near the mouth of Cork Harbour, Ireland, some 23 km south of Cork City, 18 km from Cork Airport and just 12 km from Ringaskiddy. Crosshaven is best known nationally and internationally, as a major sailing and angling centre. Crosshaven boasts a long and colourful seafaring and boat building tradition. Its history is in keeping with its picturesque setting on the Owenabue estuary within Cork Harbour. On a visit to Crosshaven you can relax at one of its many cafes or bars or take a beautiful walk to enjoy the mixture of views of land, river and sea. Here one can enjoy scenic walks, a leisurely days days fishing, good food, a choice of sports and, in the evening, relax in one of the local hosteleries and enjoy the music and they ‘craic’. Crosshaven offers an ever-increasing range of services and a wide choice of leisure and sports activities. e.g., Walking & Trekking, Cycling, Golfing, Tennis, Fishing, Sightseeing, Shopping, Music, Art & Culture, History & Heritage, dining and more. 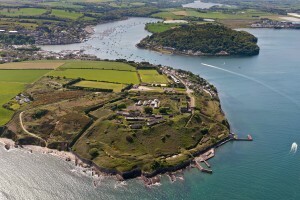 During your visit, learn about the history, architecture and folklore of Crosshaven by following the walks described in this website: walks, that take you from the tranquility of the Riverside Gardens to the heights of Camden Fort Meagher, with magnificent views of the outer and inner Harbour, to winding bays through quiet pasture and woodland. Once the ancestral home of the Hayes family and now in private ownership. 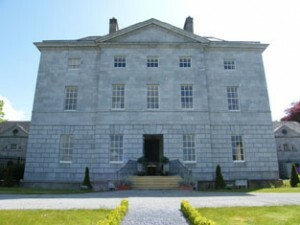 It was built in 1769 by William Hayes on a site with commanding views of Cork Harbour and is one of the finest examples of domestic Georgian architecture in Ireland. A three-storey building and a basement, with two almost identical facades of grey ashlar, the house has been a landmark in Crosshaven for over 200 years. Stories of its importance in the town’s history are recalled for such deeds as the setting up of a Soup Kitchen during the famine years. After being restored to its former glory, it is now available for private hire, including accommodation, weddings and functions. Seasonal public tours also available. The Royal Cork Yacht Club, founded in 1720 and located at the village entrance, the oldest yacht club in the world, boasts a large sailing membership and a fleet ranging from the smallest sailing dinghies to fine ocean racing and cruising yachts. 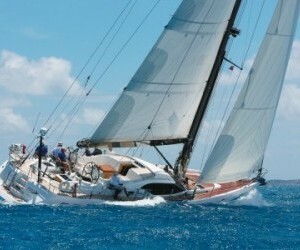 Among the local, national and international fixtures hosted by the club is Ireland’s premier yachting event ‘Cork Week’ – a biennial gala of international sailing competition and festivities. 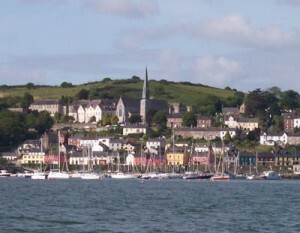 Modern Marinas and boatyards dot the shoreline, offering excellent services to the ever-growing number of watersports enthusiasts visiting Crosshaven. The Hugh Coveney pier, departure and docking point for harbour tours, is HQ to the local R.N.L.I. lifeboat and also the Home of Crosshaven Sea Angler’s Club. Enjoying the reputation of being one of the country’s leading deep sea fishing centres, anglers from all over the world visit Crosshaven to experience the pleasures of Ireland’s rich fishing grounds. Crosshaven has many spectacular walks, here are some to explore: Crosshaven Railway Walk and Cycle Lane One of the most popular walks is the beautiful walk from Kilnagleary, near Carrigaline, right into Crosshaven, with the Owenabue River by your side all the way to the harbour. Along the route you will be able to observe many species of birds and wildlife or relax and have a picnic at the amenity areas provided. There is great history attached to this walk also as most of it runs along the old Cork to Crosshaven railway line, which operated from 1904 to 1932. Grassy and Cliff Walk The walk outlined in blue takes us from the village along the Point Road, past “The Merries” amusements, Crosshaven Boatyard, Point Garden and slipway and to the end of the Point Road, where we reach “The Grassy Walk”. Climb the pathway to the viewing area above from where you will enjoy magnificent views of the inner harbour: Spike Island, Haulbowline and the historic town of Cobh. Cork Harbour is the second largest natural harbour in the world after Sydney. Here you are also at the entrance to Camden Fort Meagher. Through the carpark nearby, one can view the outer harbour and Roches Point. Graball Bay lies below. Located here is Convicts Quarry, whose stone was used to build the Fort, then known as Fort Camden. You can decide to complete that walk by returning to the village along Camden Road or continuing the walk outlined in yellow, which will take you down to Graball Bay. Continuing walking, you have the option of staying up on the cliffs or walking along the shore. Again you have the option of returning by Graball Road or continuing on to Church bay, another swimming area. Some parts of this walk can only be completed on the shore and other parts only on the well worn paths on the cliff tops. Due to coastal erosion care must be exercised at all times on these paths. Templebreedy Walk Here you can join the walk coloured red and either return to the village by Church Bay Road or take the scenic route by going left and taking the pathway up the steep hill and then, taking the public walk through the adjoining field, you’ll reach the summit of Templebreedy. In 1779 the now ruined Church of St. Matthew was built. Up to then, the walls of the old Teampall Bride had been standing, but were demolished to make way for the new church. The inscriptions on the 18th Century headstones in the graveyard are of great interest, comprising about forty in all and are found mainly to the north of the church. Walking down the hill from Templebreedy, climb the stile on your right and follow the pathway to the Cruchan Wood. At its eastern boundry is Lady’s Well. Further east again is St. Brigid’s Well, probably so called because it was used to supply water to the old church Teampall Bride. Proceed along the pathway, through the fields and Brightwater estate, returning to the village centre. Back at that stile after Templebreedy, you could go left along Fennell’s Bay Road and either walk along the shore, if the tide is suitable, or take one of the paths to Myrtleville, a beautiful sandy beach and popular swimming area. Further on, taking the scenic coast road, with panoramic views of the outer harbour you arrive in Fountainstown, a very popular bathing and swimming area. Village Walk This is a short walk taking in items of interest close to the village. Included here you will see the Georgian Crosshaven House, now fully restored to its former glory, and the grounds to the rear which is the home of the local pitch and putt club. Take the pathway south from the house passing the Pitch & Putt and Tennis grounds, enter onto the pathway turning right and continue through to Church Road where you will find Holy Trinity Church. The structure was built to the design of William Burgess and shows fine examples of stained glass windows. Its foundation stone was laid in 1886. Further on you will find St. Brigid’s Church and Presentation Convent. The foundation stone of St. Brigid’s was laid in 1869. Built of Little Island limestone, it was designed by Edward Pugin. The building of the Presentation Convent was completed in 1879. Since then the Convent has been greatly extended and now embraces not only a girls’ primary school, but also a co-educational secondary school. Crosshaven Boys’ National School, built in 1943, is situated on the site of the old Railway Station. the Cork to Passage Railway originally opened in 1850. On the 30th May 1904 the Crosshaven extension was formally opened, ironically, Crosshaven prospered, the railway did not. On the 31st May 1932, just 28 years after its opening, despite many protests, Crosshaven Railway closed. At the junction of Upper Road and Lower Road, on the waterfront, The Royal Cork Yacht Club and marina are located. Founded, originally in Haulbowline, in 1720, it is the oldest yacht club in the world. Directly opposite, is the old Coastguard Station, built to discourage smuggling in past centuries. The Gardaí have their headquarters in one of these buildings at present. On your return to the village centre, you pass the Tourist Information Office, the Pier and the Quaterdeck Garden, a development undertaken by Crosshaven Tourism in 1989 and dedicated to all mariners. A Cork County Council project in association with Rescue Camden.